An incredibly beautiful view just a few minutes from the city! 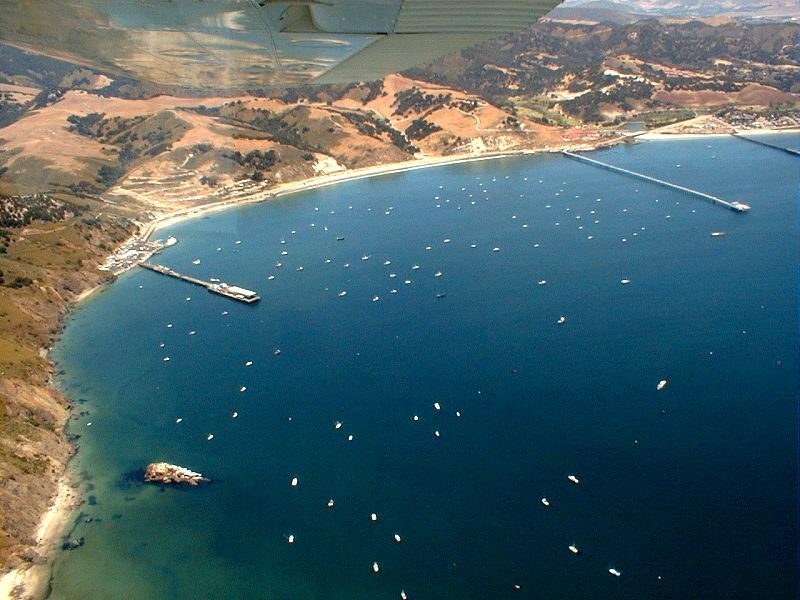 The next three pictures were shot by my son, Jeff, during a plane ride he got to take in 1999. He was only 13 years old at the time. Again, these pictures are reduced in size to save download time, but if you see a picture you like, just click on it to view a larger version. 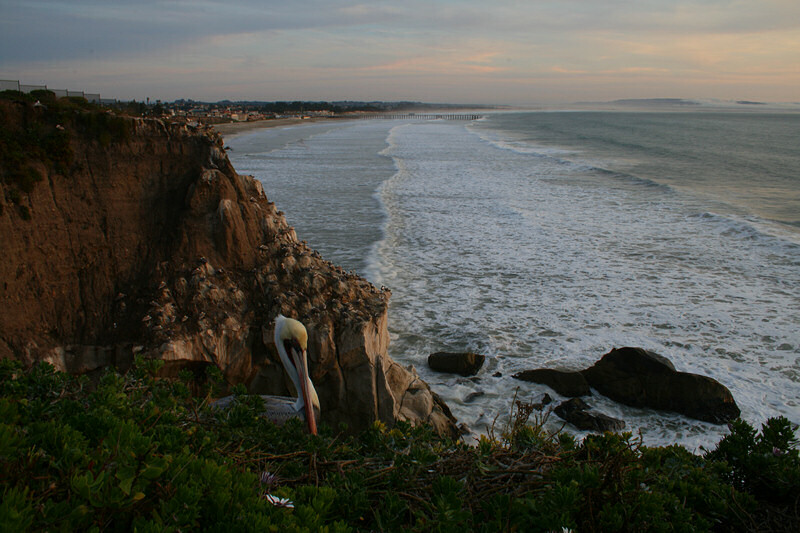 If you enjoy these, you may also like the scenic photos of the coast at Pismo Beach taken by my daughter, Sheri. 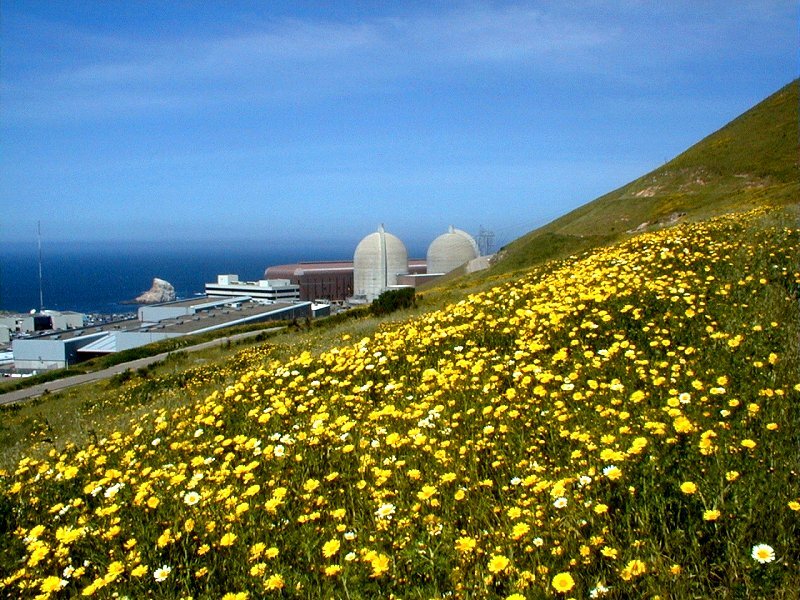 I drive by here every workday during my commute up the California coast to Diablo Canyon. 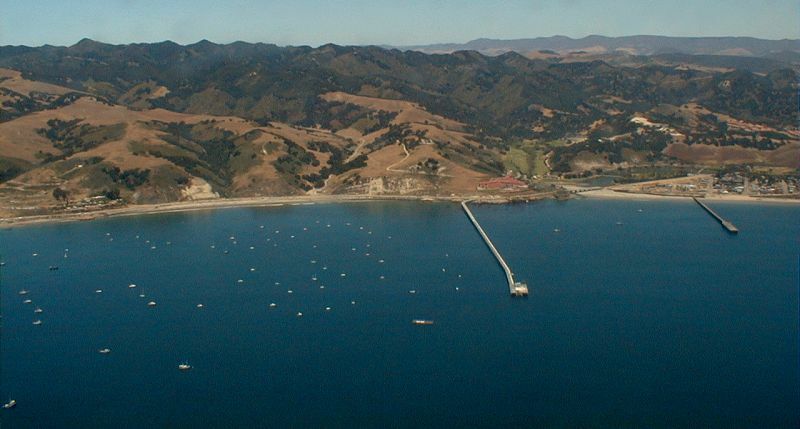 That's Avila Beach and the Avila pier at the far right. but are almost completely shrouded by fog in this picture. 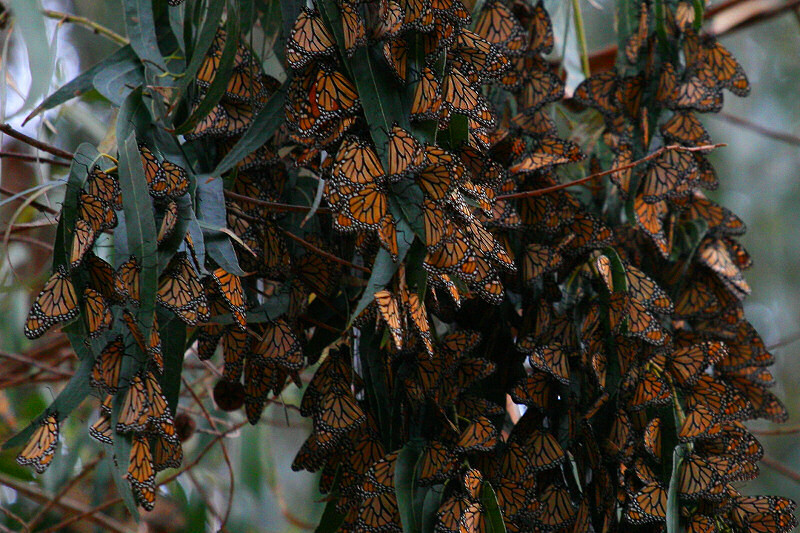 Every winter, Monarch Butterflies return to a grove of Eucalyptus trees in Pismo Beach. 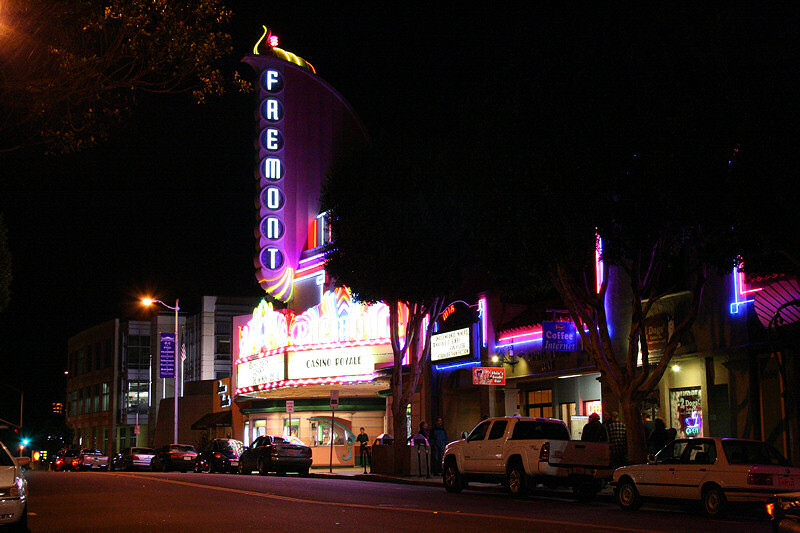 A December 2006 photo from my new Canon Digital Rebel XTi camera. A typically gorgeous day at work! If you'd like to read about my experiences there, please click here. 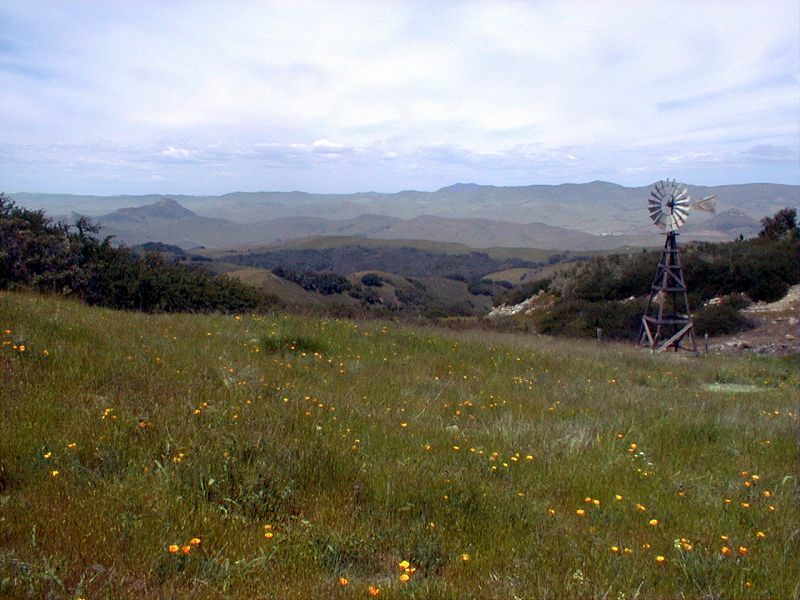 Another breath-taking location on the grounds of Diablo Canyon. and again by another photography web site on August 7th, 2001! 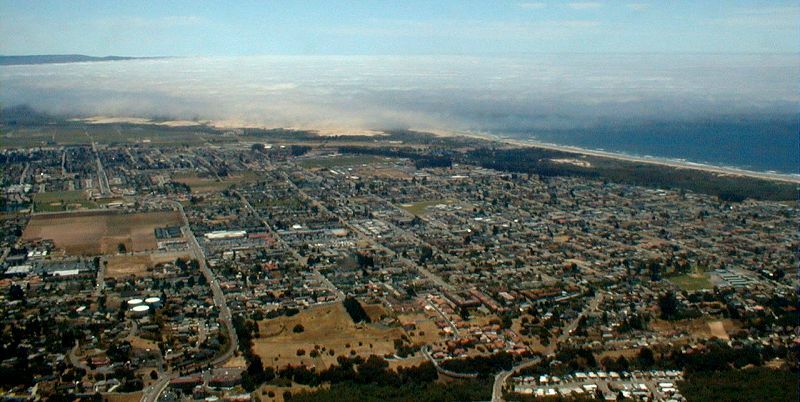 To get this particular view, I stitched together two digital pictures. Notice the Pelican in the foreground. This is the view I see on the way to work each morning. The lights in the distance are in Shell Beach. 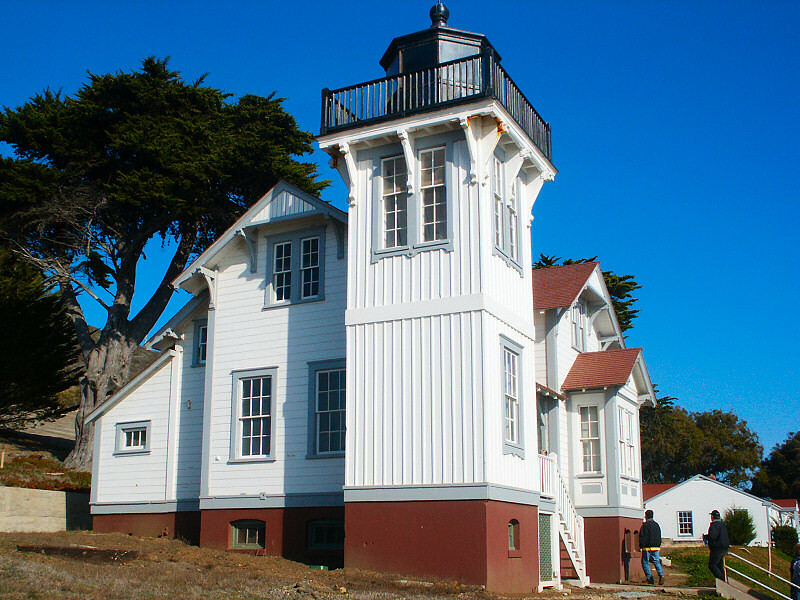 This lighthouse sits on property within the Diablo Canyon buffer zone. 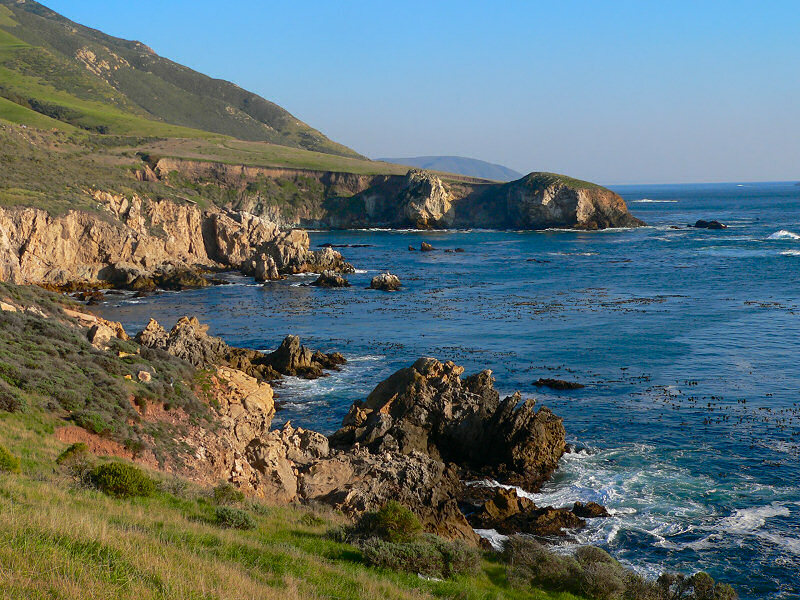 Click here to see some gorgeous photographs I took on a hike to the lighthouse. This picture was taken a mile or two north of the power plant. Click on the picture to see a high resolution (3230x700 pixel) version of the photo. Internet Explorer users: after clicking the small version of the photo, a large version will download. point your mouse to the lower right hand corner of the resized photo, and click on the "expand" button. 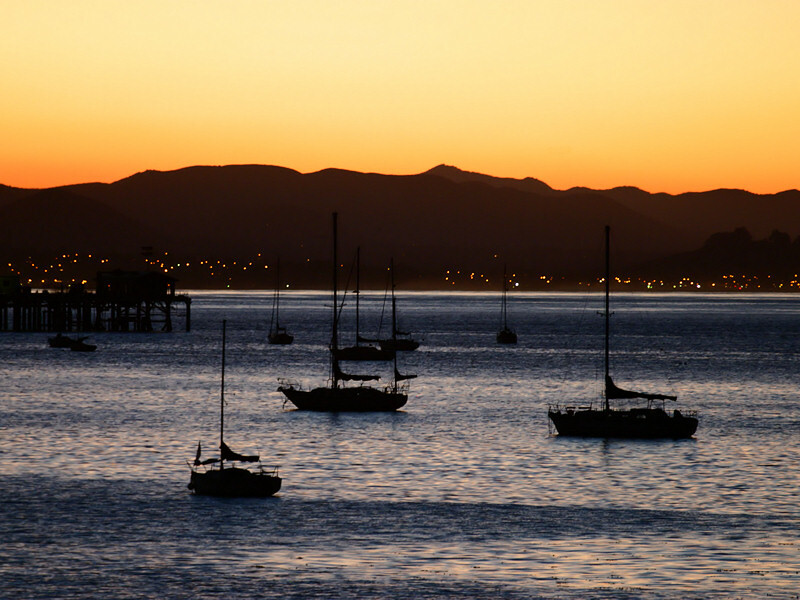 Click here to see more photographs I've taken in the city of SLO.